A 40m tall indoor waterfall, anyone? 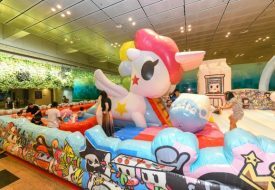 In its fifth year running as world’s best airport, Changi Airport is all set to up the ante with a brand new aviation and lifestyle hub, Jewel. Opening in 2019, the $1.7 billion architectural marvel will offer a slew of shopping and dining experiences, alongside grandiose installations and leisure attractions such as a 40m indoor waterfall and a sprawling 13,000 sqm park. 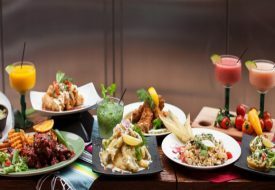 Even though Jewel is touted as a travellers’ hub, there’s no doubt it will make a wonderful hang-out for the locals. 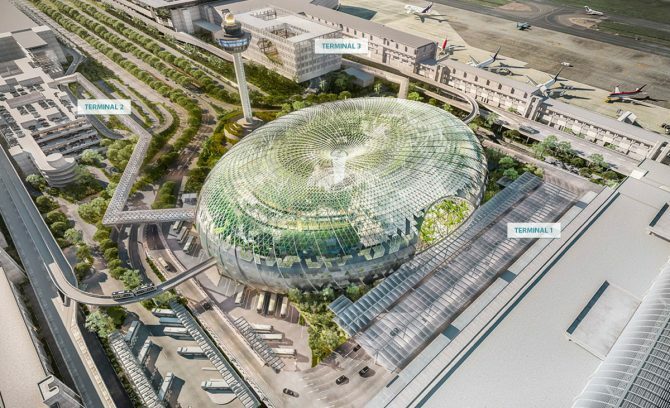 Rivaling the iconic Esplanade, Jewel Changi Airport will take the form of a dome, which glitters with glass shards that frame its curved exterior. The five-storey building will be situated in front of Terminal 1, with two air-conditioned pedestrian travelators linking it to Terminals 2 and 3. 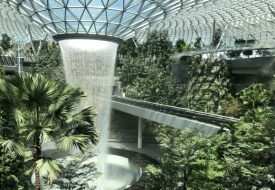 The Changi Airport Skytrain will also run through all three terminals.